To a truly amazing Doctor- when I was hurt, you calm my world with your warm smiles and my heart with your gentleness and kindness. Because of this, I know I am safe. Thank you. 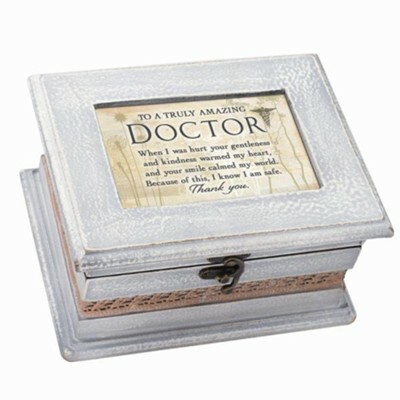 Petite size 6" x 4" x 2.5"
I'm the author/artist and I want to review Amazing Doctor, Petite Music Box.